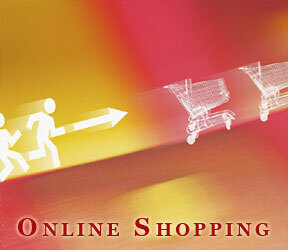 Deuceswildgifts.com - Online grocery shopping research revealed by Computing Which? Online grocery shopping research revealed by Computing Which? Research on levels of service offered by online grocery shopping websites has been revealed by 'Computing Which?'. Computing Which? asked 50 of its readers to buy their regular online shop and report back on their experience. The sites reviewed were Asda, Ocado, Sainsbury's to you, Tesco and WaitroseDeliver and ten readers shopped on each site. The findings ranked Ocado and WaitroseDeliver top, with shoppers appreciating features such as their search engines which can identify even misspelled items. According to Computing Which?, information on ingredients and nutritional content varied considerably from site to site, and negative aspects of the shopping process were identified as the inability to check Best Before dates or whether items are in stock (only Ocado advises shoppers of out of stock items prior to purchase). Overall, the online grocery shopping experience was found to be a positive one, with shoppers finding the process easy and convenient.